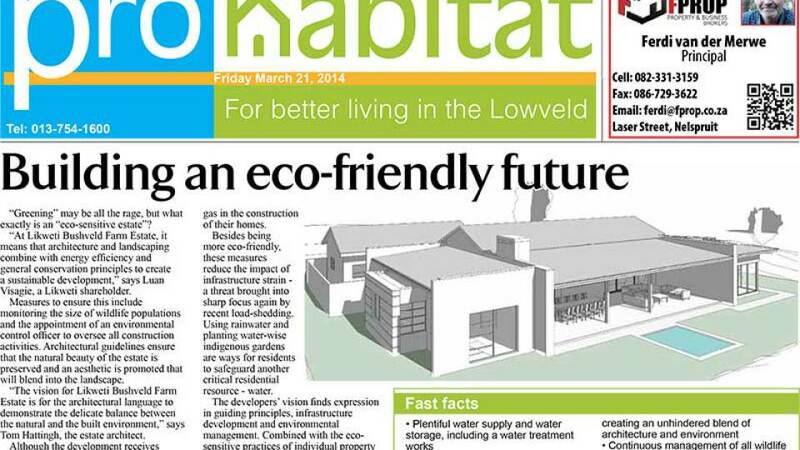 Click on the image below to find out how we're building an eco-friendly future at Likweti Bushveld Farm Estate. 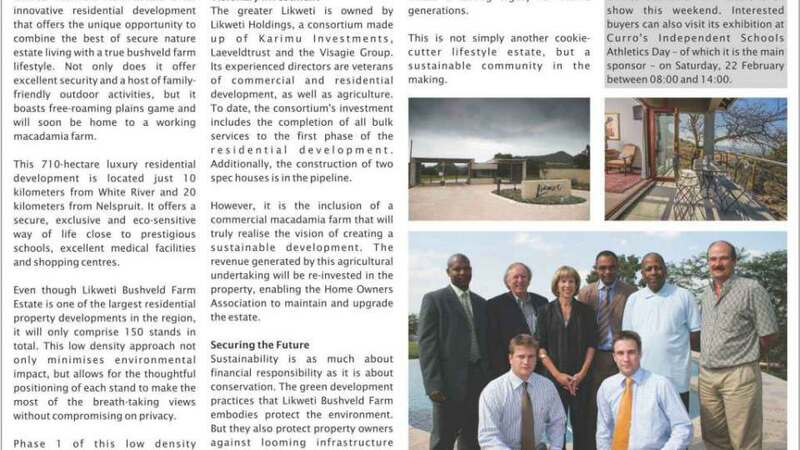 Click on the image below to find out more about the people and philosohpy behind Likweti Bushveld Farm Estate. Click on the image below for a very tempting taste of the lodge at Likweti Bushveld Farm Estate. Click on the image below to find out more about the inspiring options that Liweti Bushveld Farm Estate offers. Click on the image below to find out how Likweti Bushveld Farm Estate offers you the best of both worlds. 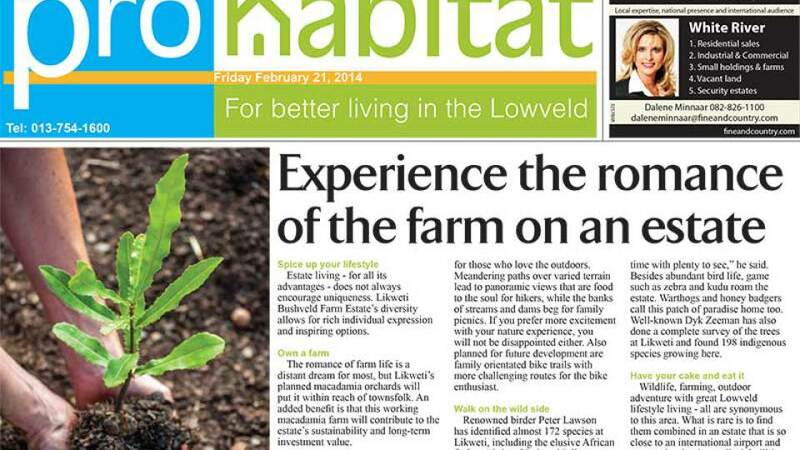 If you didn't catch the article about Likweti Bushveld Farm Estate in the December edition of Lowveld Living, you can download it right here! Just click on the image below.